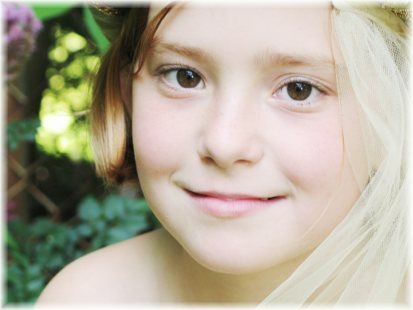 When it comes to learning about 'all-natural beauty', it is a mixed bag. On the one hand, it is filled with light-hearted beauty facts and recipes which can be a lot of fun. While at the same time, it could be considered a very in-depth scientific and health-related topic, that at times may be quite controversial. 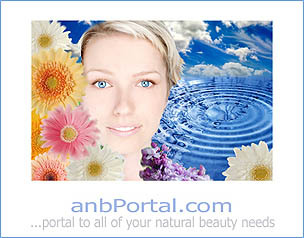 Our goal is to bring you solid information, so that you can make informed choices about being a truly "Natural Beauty". 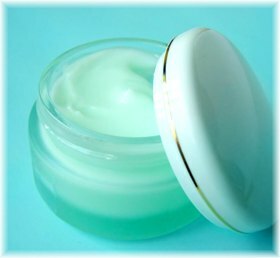 Learn about which ingredients to avoid in your personal care products. Read about one woman's path to all natural beauty enlightenment. 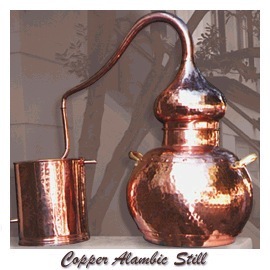 Learn the basics about extracting herbal properties. 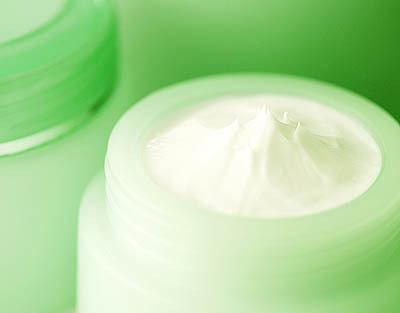 Find out which preservatives work to preserve beauty products naturally. 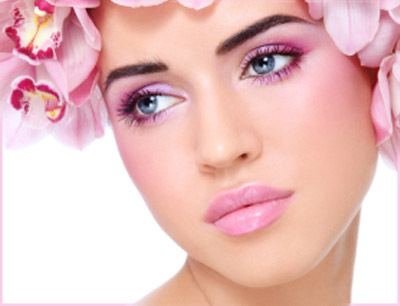 This article teaches how to apply all-natural makeup for a "natural" look. Find out the importance of pampering, and how you can achieve it in the privacy of your own home. 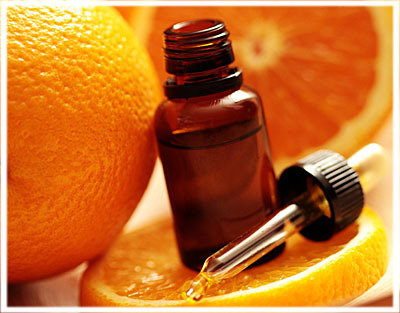 Learn about the importance of using pure essential oils in your skin care products. 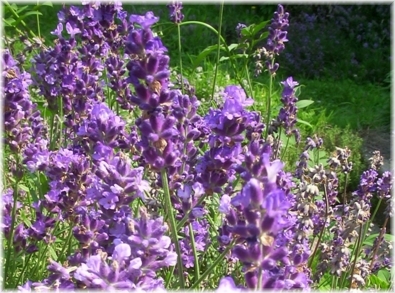 Many herbs and essential oils have warming properties. Learn which ones do, and how to use them. 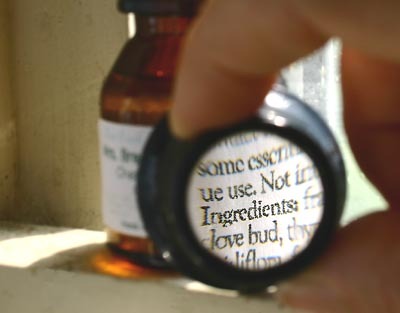 How can you distinguish between natural and unnatural ingredients on labels? This article will help you. 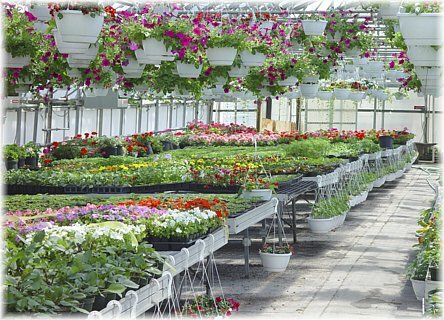 This article will give you information, insight and inspiration before you begin your actual planting. 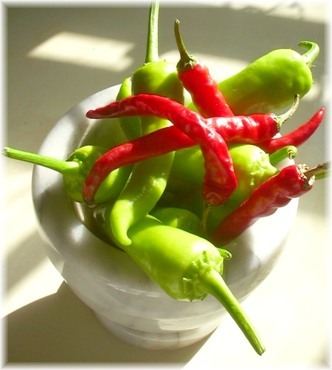 Here is an important list that will help you to know un-natural ingredients when you see them. There are more reasons now to avoid the use of un-natural chemicals, they can make you fat! A beautifully written article about the joys of getting older and how to stay healthy while doing it. Learn secrets from an insider in this article about tropical beauty treatments... seaweed, salts and more. Find out which ingredients were used, how they were worn, and what it meant. 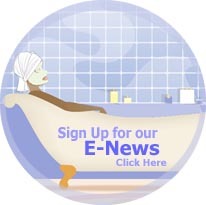 Learn which natural cosmetics are good for your skin type, how to use them, and much more. 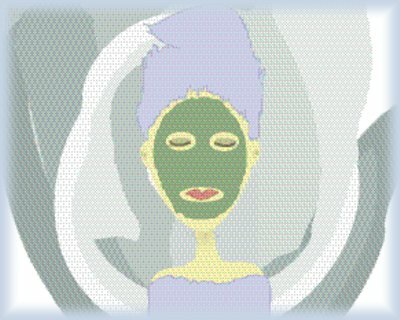 Learn simple lymph-drainage techniques to improve your appearance and health. Our society can be a bit twisted when it comes to health and beauty. Here's a different viewpoint. 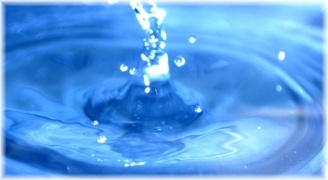 One woman's story about how she learned to cope with harmful chemicals in our environment. Learn the basics about bees, and the important contributions that they make. 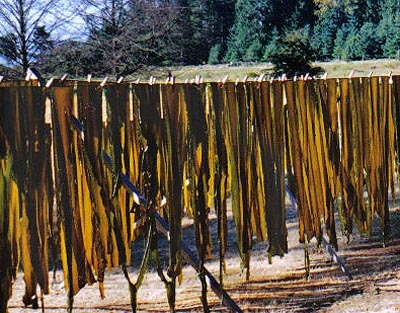 Seaweed is chock full of vitamins and essential minerals. 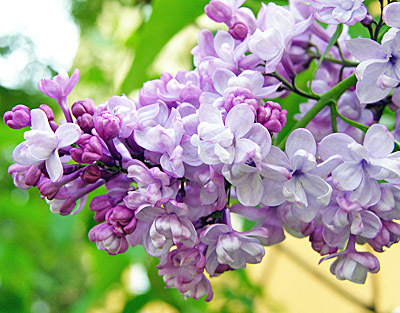 Find out how it is used in beauty care, along with helpful recipes for beauty and cooking. It's time to get a little messy, for a good cause. 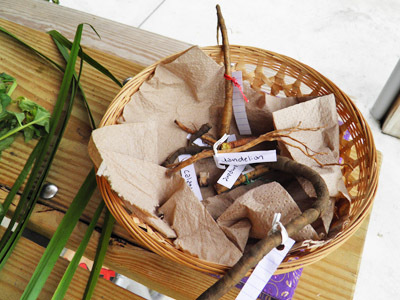 Teach your kids how to use all-natural ingredients in a fun way. It's a lesson that will be remembered forever. 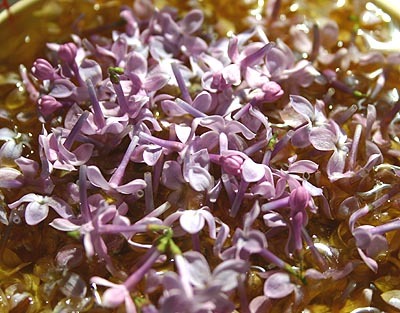 Learn how to infuse herbs and flowers from your own garden into oil to create all-natural beauty products from scratch. What are the current regulations for labeling a product as 'organic'? Who is in charge, and is anyone protecting the public when it comes to actually certifying organic beauty care? 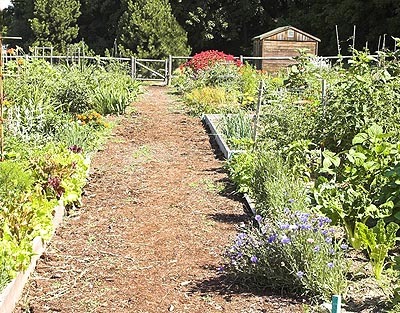 Learn the important steps that go into retrieving the bountiful gifts from your herb garden. There is exciting evidence that the larger natural beauty manufacturers are taking notice and making positive changes. 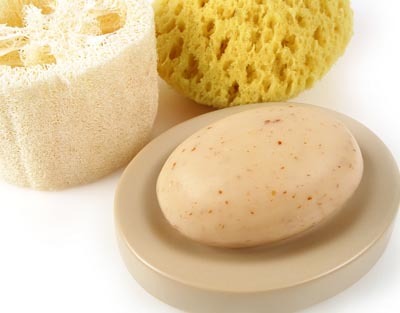 With all of the different types of soap available, how can you decipher which ones are good for you, and especially... which ones are natural? 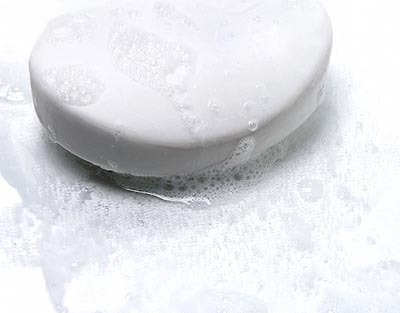 Finally, an article that will teach you the ins and outs of that thing we call "soap". Holidays are the perfect time to try your hand at making all-natural beauty recipes and gift-giving ideas. Here are some that you'll love. 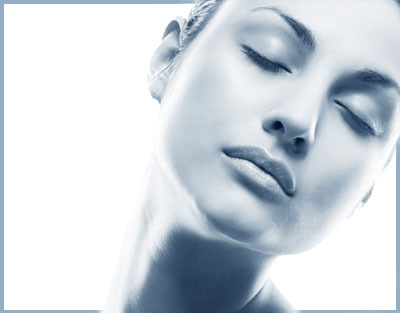 Learn about ways that you can keep your skin soft and supple through the winter months. The basic facts about what makes an emulsion, and what to look for in synthetic vs. natural. 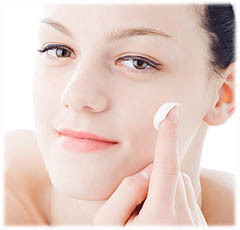 Skin care basics, tips and recipes using common ingredients found in your kitchen. 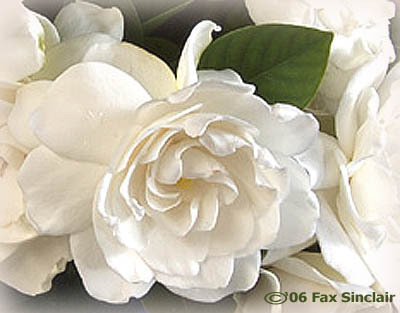 Find out how you can infuse your own Gardenias to make beautiful all-natural potions. Maybe running your own all-natural beauty business from your home is your calling. 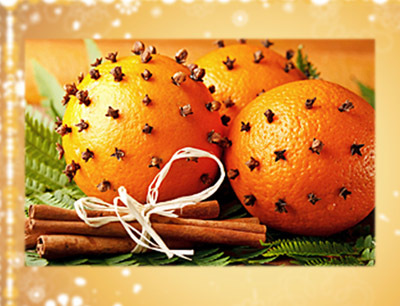 Holiday aromatherapeutic blends for your home for the holiday season. 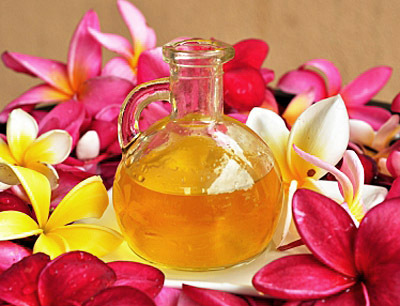 The new year or any time is the perfect time to relax - Plus some homemade beauty recipes. Celebrate the one that you spend the most time with... YOU. Here are some lovely ideas. 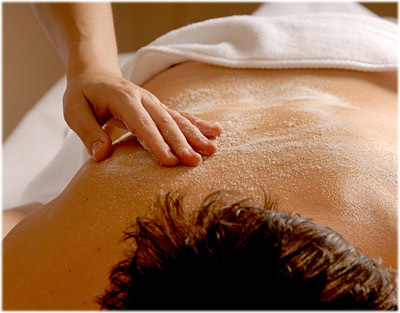 Spas are beginning to realize the importance of going all-natural, slowly but surely. What you need to know to get over your fears about receiving a professional massage. 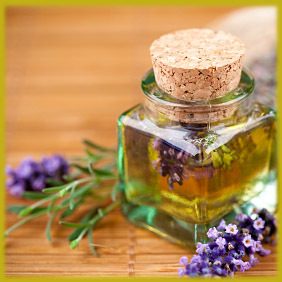 Find out what to ask for when purchasing your essential oils. 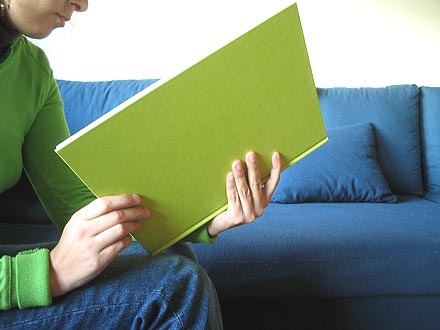 An abundant list of chemicals, from Natural to Synthetic and In-Between. 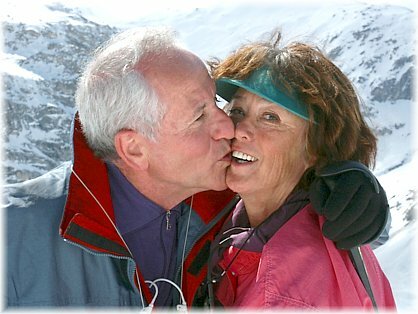 Alexandra's personal story about her friend and mentor, the legendary Jeanne Rose. 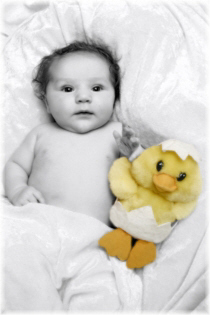 There are very good reasons for using all-natural beauty products, for both you... and for our environment. Follow Valentina's travels down the aromatic path of love's twists and turns. A sensuous journey indeed! 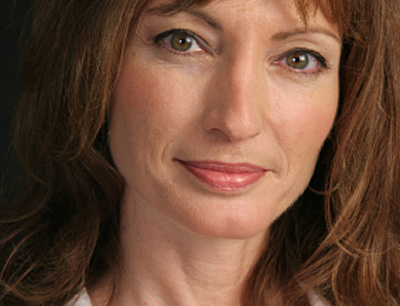 A helpful guide for applying mineral makeup on the over-forty face. 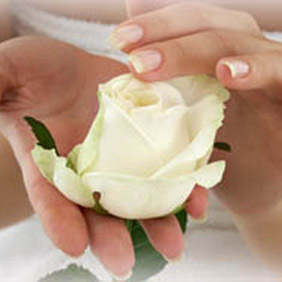 Practical tips for exquisite natural beauty. We hear the experts' thoughts about what works and what doesn't when it comes to packaging beauty products. 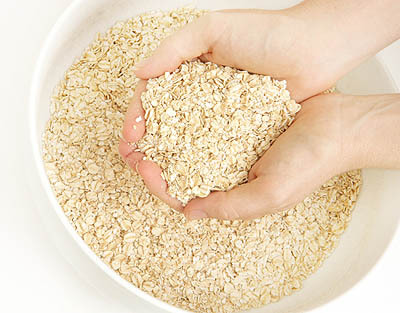 Learn ways to use Oats and Oat products in your beauty care regimen. It will become one of your favorites! Many people suffer from this skin affliction. Learn what it is and what can be done to lessen the effects. Teens are quite specific about what they like. 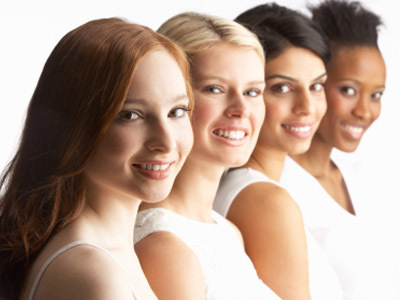 Learn what works best and how to maintain a healthy makeup and skin care regimen. What goes on in the daily lives of hairstylists, in particular, ones that believe in using all-natural products? Three stylists/all-natural beauty manufacturers share their insight. 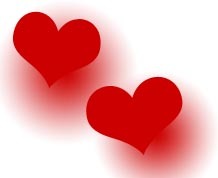 Learn how to create your own all-natural Love Potions using essential oils, and how to use them. There's currently a lot of discussion about beauty products that contain gluten. Learn why some need to avoid these and why. It's so important to treat your skin by using the correct ingredients for your own skin type. Learn how in this article. 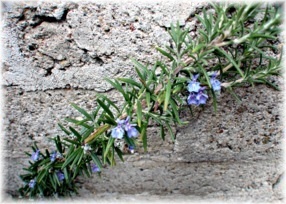 Not all herbs are the same, neither are essential oils. Learn how important it is to read and understand those labels. Most people buy their hair care products for reasons of convenience or habit. Learn why that's probably not the best idea. An extensive article about choosing candles that are pure and healthy. You'll never see candles the same way again. 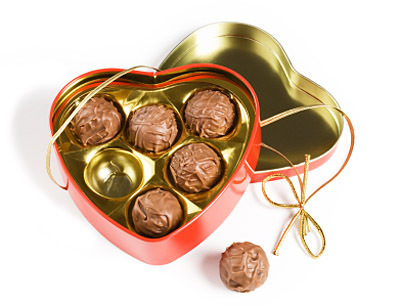 There's a reason why our grandmothers used all-natural ingredients from the pantry... It works! 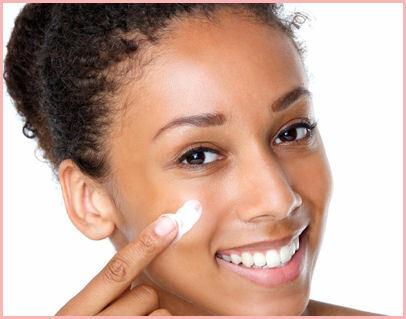 Marilyn Courtwright shares her thoughts on keeping your skin beautiful with a simple all-natural regimen. 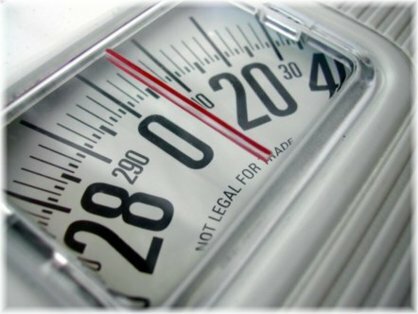 An in depth article revealing how pH balance works, and doesn't, depending on products and other factors. 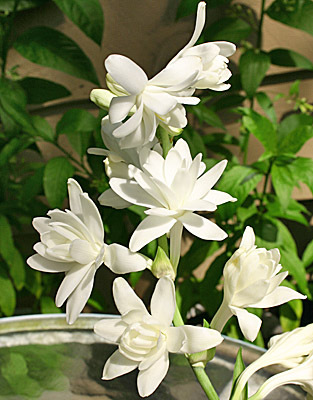 Learn about Ayurveda, the oldest form of medicine. 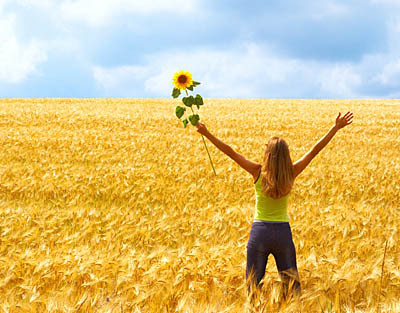 Find out what your dosha is and how to live a life of harmony with it. 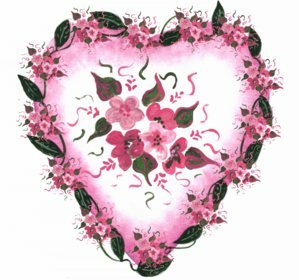 Create your own herbal beauty formulations. 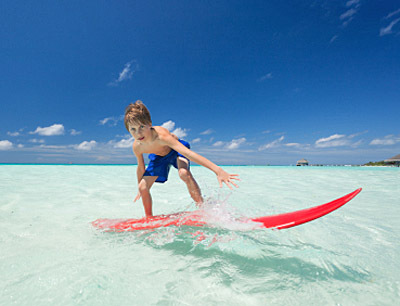 It's easy, safe and fun when you know how to do it correctly. It's simple to make your own face and body scrubs out of ingredients you can find in your pantry or local health store. 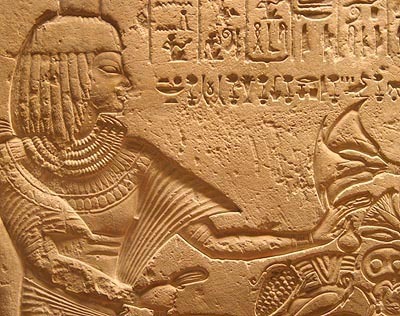 Chocolate has a very interesting history. It was in fact once reserved for nobility. Enjoy some delicious spa and beverage recipes. 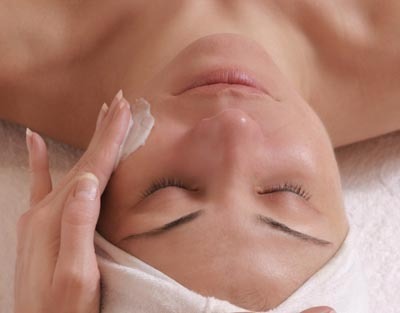 Effective skincare is not just about ingredients. While ingredients are very important, there is much more involved. 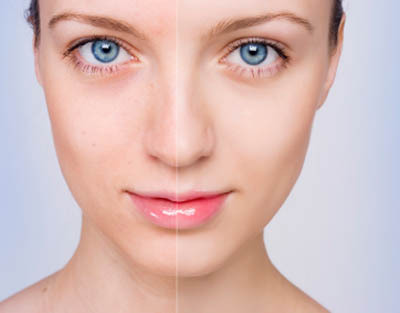 Learn about this little known skin condition that results in blotchy skin. 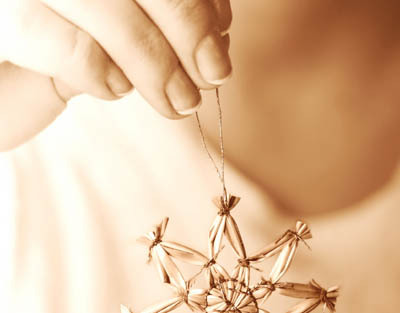 There's nothing finer than the waft of all-natural holiday scents filling your home. Does Your Hair Need to Blow Up the Volume? If you have fine hair you'll love learning how to have it cut and styled to look its fullest and best. 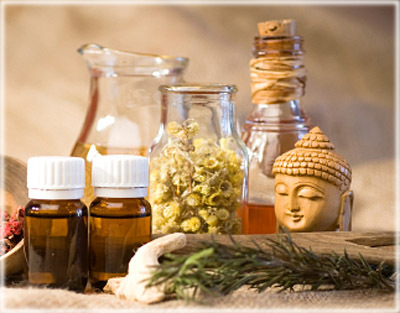 Why is aromatherapy so important? 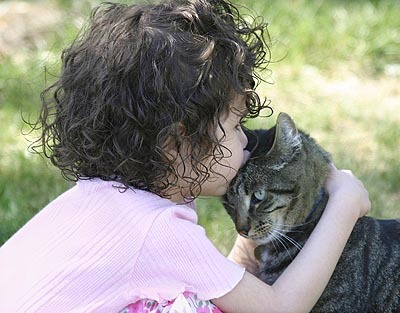 Alexandra teaches us why, and what we can do to bring more of it into our daily lives. Turning the essence of a Flower - into Solid Form. 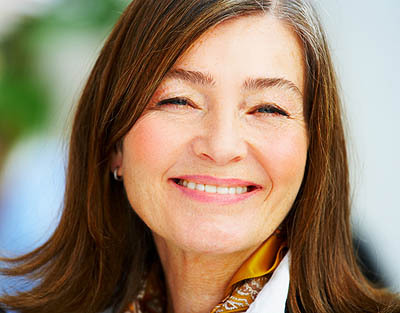 Learn natural ways to improve the skin and reduce age spots. 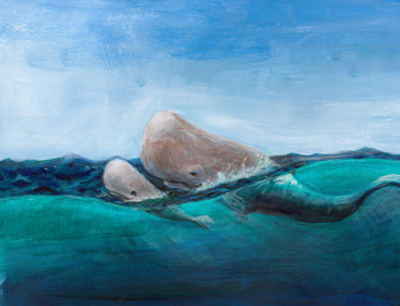 A fascinating composition about this little-known all-natural ingredient that comes from the Sperm Whale. 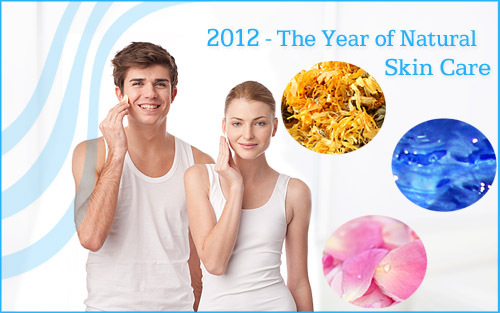 A retrospective look at articles, products and recipes from 2012, when we focused on 'Pure Skin Care'. 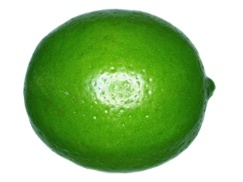 Li gives us the ins and outs of caring for acne using completely natural methods. Find out what's happening for Spring 2013 in makeup styles and colors. For those that suffer from dry skin and/or hair, Li has the answers to turn things around. 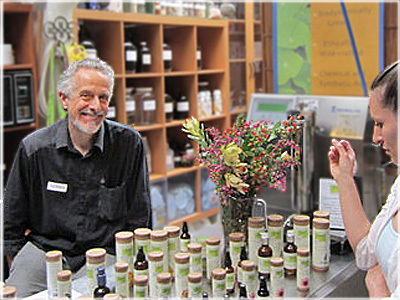 Find out how a gorgeous spring day became a fun time to visit Grateful Body and see new products . There are several myths surrounding the natural substance, Borax. Jacquelyn teaches us the truth. Making Your Own Sunscreen: How Effective is it? Li shares the pros and cons of making your own sunscreen at home and whether they are as effective as store-bought. 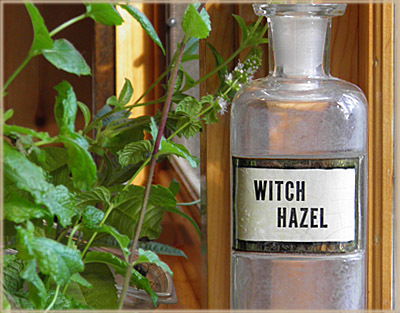 Learn how to work with witch hazel to make your own skin care products, and how to preserve them safely. 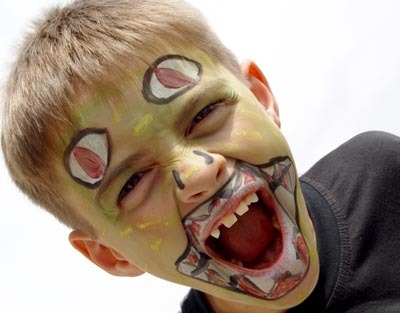 There was a fun and interesting event that took place in Chester County, PA in October of 2013. 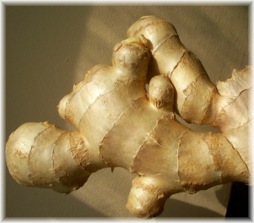 If you love herbs you'll enjoy this article. Meet some of the beautiful women that visit our site. We find them to be simply inspirational! Making the switch to healthy beauty care is not only smart... it can be fun too! Learn 4 easy steps that you can take now. 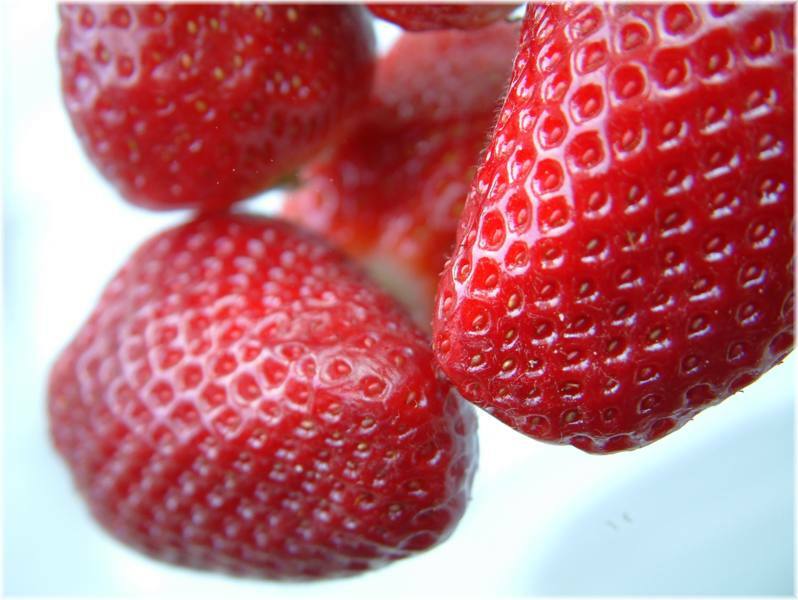 Sharon gives us the inside scoop on the right way to create completely all-natural emulsions. 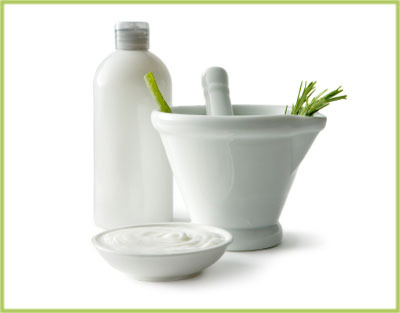 A helpful guide to using natural ingredients for skin, hair & body treatments. A unique and simple format. 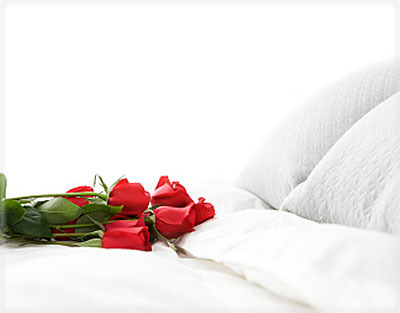 A list of herbs and essential oils with aphrodisiac properties, along with recipes & links. See two of Jeanne Rose's favorite recipes, along with some interesting facts about citrus fruits. 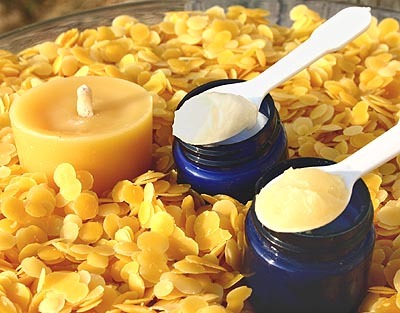 Learn how to use essential oils to preserve your lotions and water-based items naturally. 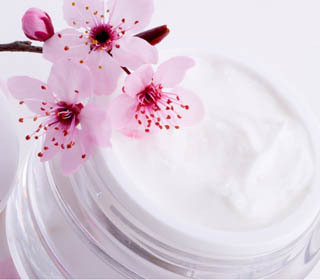 This article will teach you the basics of how to make your own all-natural lotions and creams. Learn about the true meaning of "S P A", plus many recipes and at-home applications. 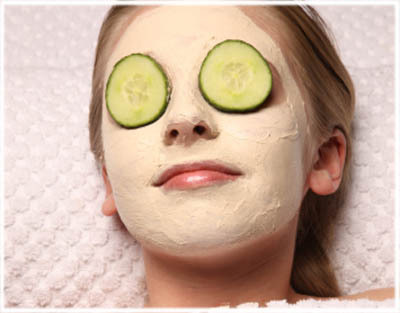 We highly recommend this article to beauty professionals that want to go all-natural at their spas. It's time to find out everything that you've ever wanted to know about Hydrosols and Jeanne Rose's non-profit organization, the Aromatic Plant Project. 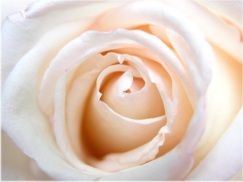 Whether you use this as a resource or just read it as an article, you will find this to be a wealth of aromatic information. 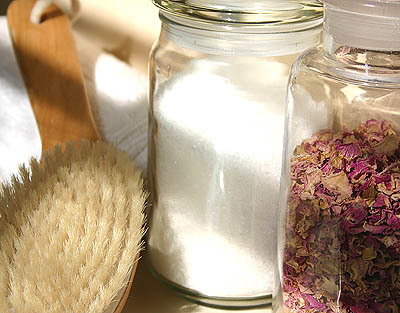 Advice and recipes for making your own herbal powder and deodorant preparations. 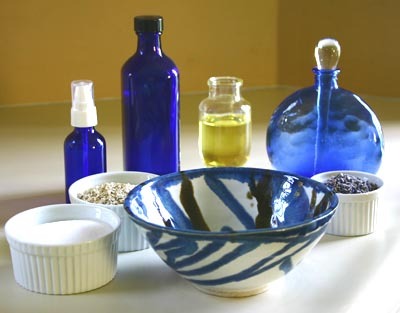 Learn which essential oils and blends will help you to fight your acne in a completely natural way. Keeping the bugs away is best done by using natural methods. Learn what to use for mosquitoes, wasps and fleas. 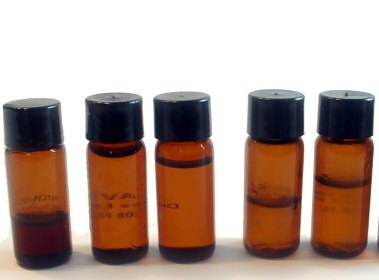 Learn how to keep your aromatherapy blends from evaporating too quickly by using fixatives. 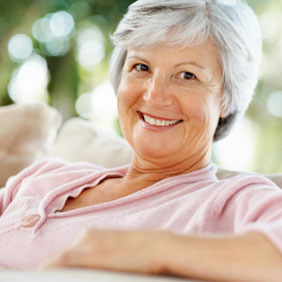 Find out what steps you can take now to become a healthier, happier 'older' person. 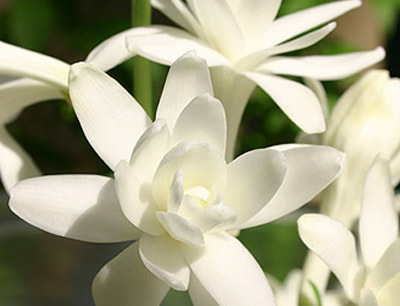 Grown mostly in hot and tropical climates, this beautiful flower is a gift to all that smell it's sweetness. This cold weather species smells pungently sweet, and loved by those that know it well. 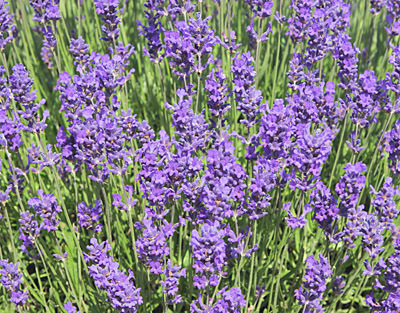 Lavender is highly prized for both its scent and healing properties. It's both relaxing and stimulating at the same time! 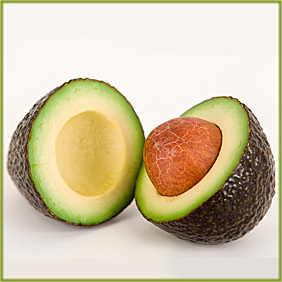 Jeanne Rose shares 11 different beauty recipes using one of the most nourishing botanicals around... the Avocado! How many ways can we use essential oils to freshen up, clean and make our lives more enjoyable? Learn 50 right here. 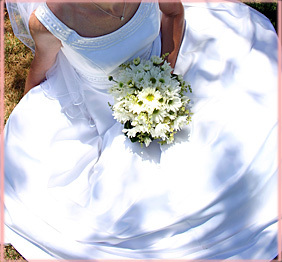 Why should your wedding be any less natural and organic than the rest of your life? Learn ways to accomplish this. 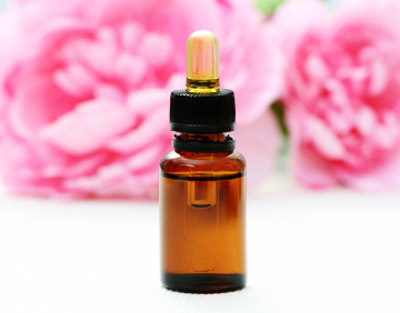 Learn which essential oils have a calming effect and why, and why some should but don't. 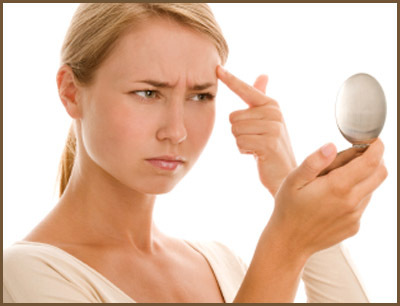 Learn how to safely and effectively get rid of acne the natural way. A very interesting and informative article which reveals the hidden truths that are not usually told. What you need to know about protecting you and your family from pollutants by using clay. Such amazing powers can be found in the simplest ingredients. 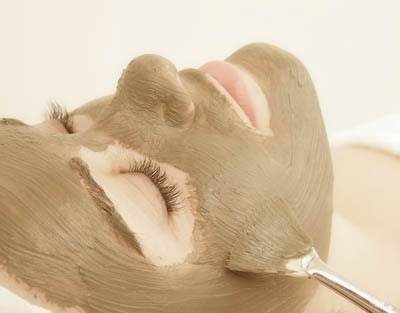 Clay has the power to rid the body of toxins. Learn how it can help you. Knowledge is power when it comes to your health. Copyright © SharAmbrosia 2003-2013. All rights reserved.